According to the new age requirements to qualify under the Points Based System, the UK Border Agency has confirmed that the age limit has lowered for the entry of spouses and partners in the UK. With the respect to the new rules, it is mandatory for the husband, wife and the main applicant (or the civil partner of the PBS applicant) that the minimum age for the entry in the United Kingdom should be eighteen and above. Log on to http://www.ukba.homeoffice.gov.uk/sitecontent/newsarticles/2009/august/pbs-sponsor-changes?area=Studying and have a look at all the amendments. The rules and regulations for the Immigration and Visa procedures keep on changing. 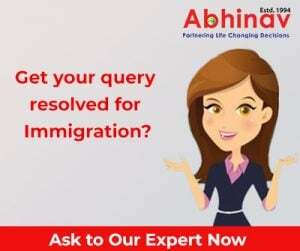 That is why it would always be a wise decision to hire the services of an Immigration expert and stay updated with all the news happening in the Immigration world. Stay Tuned for more news on it!